If you are reading this today and wondering what to do, don't miss the Annual Christmas Bazaar organised by the IWCL Evening Group. 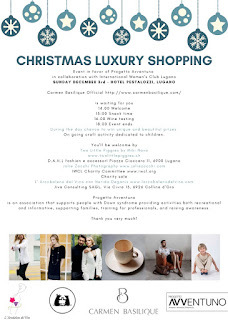 You are invited to join the IWCL (International Women's Club of Lugano) on December 3rd, 2017 for an afternoon of Luxury Christmas Shopping in favour of Progetto Avventuno! 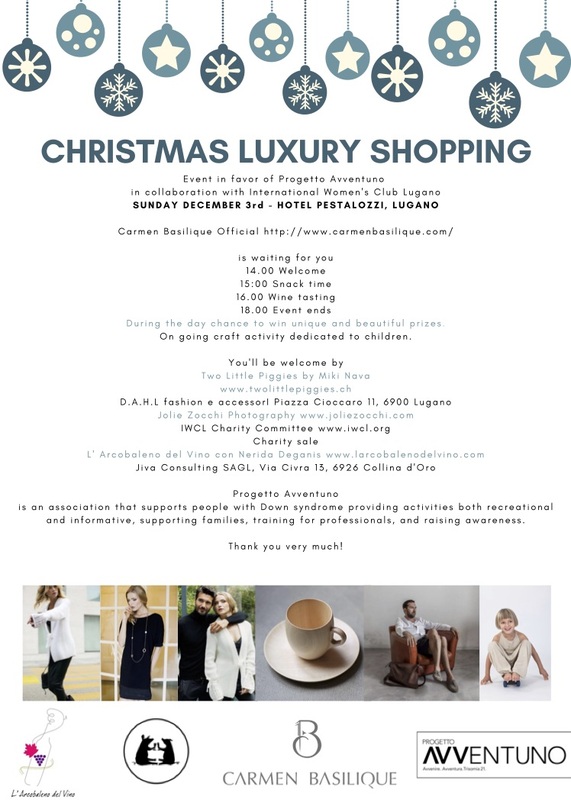 Progetto Avventuno is an association that supports people with Down syndrome providing activities both recreational and informative, supporting families, training for professionals, and raising awareness. The doors of the fair will open at 14:00 and there will be something for every pocket, don't be shy and come around! At 15:00 there will be a free snack time to cure that sweet tooth, along with coffee and tea. At 16:00 a free wine tasting will begin, by all means with some tasty savoury snacks. Craft activity is offered for little people!